Rev. 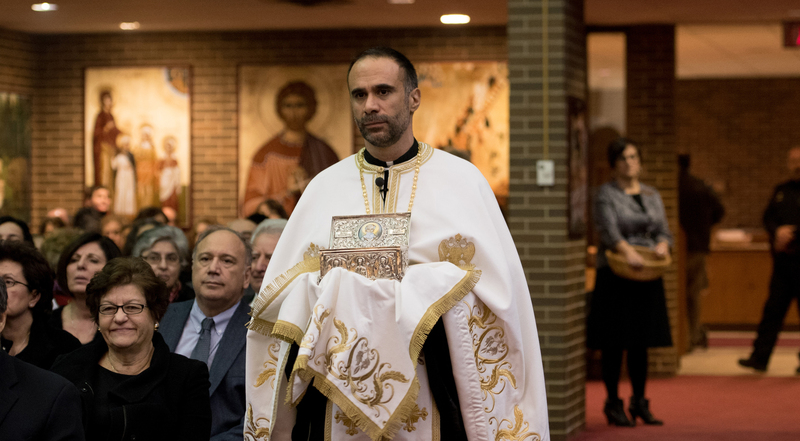 Dr. Protopresbyter Peter is currently the head pastor of Saint Athanasios Greek Orthodox Church in Aurora, Illinois. In his role, he leads a parish of approximately 425 families, servicing their spiritual, psychological, emotional, and traumatic needs. He was ordained to Priesthood in 1996. In 2009, he was made Economos (clergy higher rank) and in 2015, made Protopresbyter (Archpriest). Prior to Saint Athanasios, he served as the Associate Pastor at Holy Apostles Church (Westchester, IL) and Saints Constantine and Helen Church (Palos, IL). Father Peter obtained a Doctor of Ministry degree from the Pittsburgh Theological Seminary (Pittsburgh, PA), a Master’s Degree in Divinity from Holy Cross School of Theology (Brookline, MA) and a Bachelor’s Degree in Religion/Philosophy with from Hellenic College (Brookline MA). In addition to being a pastor, Father Peter served as a Chaplain and Auxiliary Deputy Sheriff for the Kane County Sheriff’s Office in St. Charles, Illinois for 8 years and the Illinois State Police for 5 years. He also served as a Chaplain for the association of Orthodox Police officers in the greater Chicagoland area and as a nationally listed and resourced Chaplain for traumatic incident response and a variety of needs of law enforcement agencies and officers in a larger demographic area, spanning a wide range of local and federal agencies. In 2012, he received the title of Honorary Colonel by Major General Wells from Texas for contributions to the U.S. Army and Army personnel in the 75th Training Division, in the area of chaplaincy and in appreciation for assisting deployed soldiers from a pastoral, and practical educational perspective.